The “Fight for 15” movement has been staging protests for the last few years, insisting that fast food workers get a minimum wage of $15 dollars. They don’t care about the economic reality of their demands, they just want what they want. They also refuse to understand that being a fast food cashier is a starter job, not a career. Many people warned them that their demand would have a negative impact on these jobs, as business owners would look for ways to work around them. That time has arrived. This was always more about the unions than the workers. 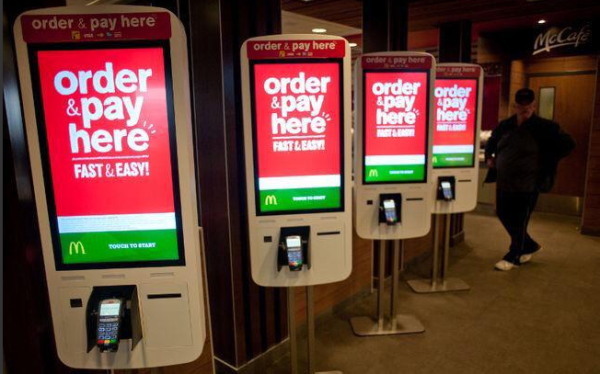 As large unions like the SEIU lost members and political bargaining power, they sought to inflate their ranks with fast food employees because it’s such a large segment of workers. It got the unions a lot of publicity but in the end, it is young people seeking a first job who will be hurt. The out-of-state labor groups who funded these initiatives aren’t shedding tears over the consequences. Like their Soviet-era predecessors who foolishly thought they could centrally manage prices and business operations to fit an idealistic worldview, economic reality keeps ruining the model of all gain and no pain. This brings me to my last correct prediction, which is that the Fight for $15 was always more a creation of the left-wing Service Employees International Union (SEIU) rather than a legitimate grassroots effort. It’s just further evidence that the left claims to care about the working man, but really doesn’t.